Sixty million dollars. That’s roughly how much it costs to send a payload to orbit on SpaceX’s Falcon 9 rocket. It’s actually a bargain for space, but it’s far more than University of Central Florida physicist Julie Brisset, who seeks to study the early stages of planet formation in microgravity, can afford. She’s one of countless researchers unable to access the low gravity laboratory of outer space because of the staggering price tag. That’s why Brisset is eyeing New Zealand-based startup Rocket Lab with excitement. The company, which was founded in 2006, hasn’t flown a balloon into orbit yet. Its Electron rocket has a maximum payload capacity of just under 500 pounds, which is peanuts compared with the Falcon 9’s 50,265-pound weight limit. But Rocket Lab does have one big thing going for it: It wants to launch rockets into space for just five million dollars. If the company can pull that price point off—still a big ‘if’ as it hasn’t begun commercial flights yet—five million dollar launches would be a game-changer, especially for folks operating small, lightweight satellites like CubeSats. And the small satellite market is Rocket Lab’s exclusive focus. 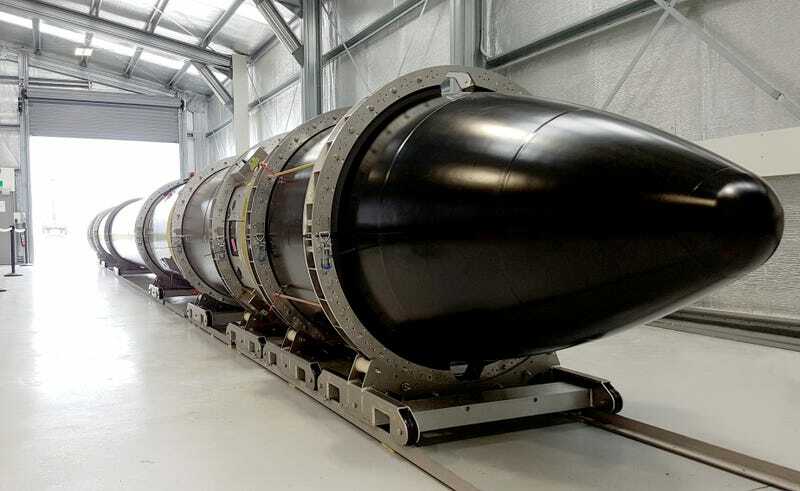 “Launch has become a bottleneck for many satellite companies, and Rocket Lab aims to solve that by providing unprecedented access to space,” Peter Beck, cofounder of Rocket Lab, told Gizmodo. CubeSats are a type of “nanosatellite,” with a maximum weight of roughly 2.93 pounds, that have a standard size—10 x 10 x 11.35 cm, or some larger multiple of those dimensions. The CubeSat design dates back to 1999, when researchers at California Polytechnic State University and Stanford sought to provide graduate engineering students a cheap and feasible way to experiment with spacecraft and send them into orbit. Over time, the design has become an industry standard. “The really revolutionary aspect of CubeSats is their small format,” Brisset, who is working on multiple CubeSat experiments, told Gizmodo. “This makes CubeSats very cost-effective in fabrication and transportation to space, and it significantly reduces their manufacturing time.” A full-sized spacecraft can cost an enormous amount of money, in the range of several hundred million dollars, Brisset explained. But if you don’t need the complexity and durability that a large spacecraft affords—if you just need to send a single scientific instrument into space for a year, for instance— you might turn to nanosatellites instead. In 2011, there were 12 total nanosatellite launches. In 2017, there are a projected 569. From package tracking to satellite Internet to studying the impacts of climate change, the ability to monitor the Earth from space is a benefit to small and large companies and governments—and CubeSats are making that possible. At least, for those who can shore up the $100,000 needed to stick one of these three-pound hunks of metal in the cargo capsule of a Falcon 9 rocket or similar launch vehicle. Cost is a big impediment for the small satellite industry, but it’s not the only one. Small satellites operators are also constrained by payload capacity, forced to hitch a ride on existing launches that have extra room. As result, there’s a severe backlog, and the projects that make the cut tend to be the ones with ties to government agencies like NASA. For example, AOSAT-I, or the Asteroid Origins Satellite, is a three-unit CubeSat launching later this year that’s designed to simulate the surface of an asteroid to help NASA refine the design of future asteroid landers. Then there’s Mars Cube One, or MarCo, a fleet of CubeSats that will be deployed in Martian orbit to function as a communications relay for NASA’s InSight Mars lander. These projects are undoubtedly exciting—but for every small satellite with a ticket to orbit, there are dozens more on the waiting list. Instead of treating small satellites as an afterthought, Rocket Lab is centering on these projects, and the companies who want to launch them affordably. Its Electron rocket, whose Rutherford engine is constructed with 3D-printed carbon composite parts, is designed to keep down costs. “We chose 3D printing as it lends itself to rapid manufacturing, in turn reducing the cost and time of creation and increasing our ability to launch with higher frequency,” said Beck. The rocket is also unique in that it claims the first-ever partially battery-powered engine—it uses electric motors that run on lithium batteries to pump liquid fuel into a combustion chamber, eliminating the need for heavy turbopumps, and additional fuel to operate them. While the design is not yet flight proven, Beck told The Verge electric batteries reduce the cost and overall complexity of the engine. If you take Rocket Lab’s $5 million, 500-lb capacity, the price per CubeSat comes out to roughly $30,000. If a company wanted to buy out the entire launch vehicle, that might also be feasible. “There’s a lot of advantages that can come from a smaller launch provider, where we can afford to buy the full rocket, and then we have a lot more say in terms of exactly what orbit we’re going into, when it’s going, what safety requirements we have to adhere to,” Mike Safyan, Director of Launch and Regulatory Affairs at private satellite operator Planet, told Gizmodo. Rocket Lab not the first company to seek to provide for the small satellite market—Vector Space Systems and Virgin Orbit are two others that come to mind—but it’s one of the furthest along. Recently, the company announced that its Electron rocket is ready for flight tests, the first of which should occur within the next few months. Brisset also has been excited to follow Rocket Lab’s journey. Her team envisions CubeSats as a platform for countless microgravity experiments, including her own project, which studies the early stages of planet formation. Satellites are already changing the way we see our planet. If companies like Rocket Lab are successful in driving down costs enough to offer a new generation of researchers a ticket to orbit, they might just change the way we see the entire universe. Swapna Krishna is a space science and tech writer and writes a weekly space column called Space Matter at Paste Magazine.